Hong Kong label Neoncity Records has become a prominent brand in the up-and-coming genres of Vaporwave, Future Funk, and City Pop. Early on, they were deemed as short-lived genres, doomed to fade away as quickly as they appeared. However, artists such Artem Voloshenko, also known as Desired, stand as proof of the depth these novelty sounds have on offer. 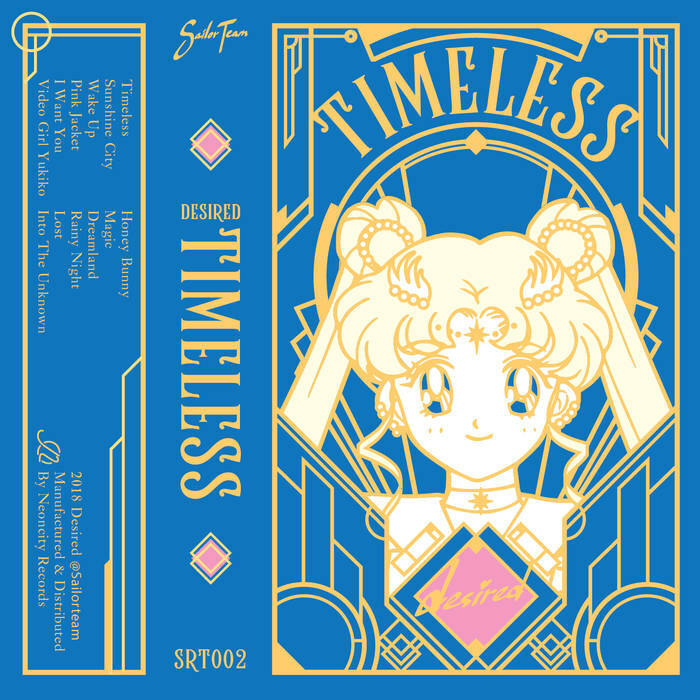 Timeless is his second release under Neoncity, evolving his infectious Future Funk sound and exploring new possibilities along the way. The groovy first few minutes of Timeless evidence the dancefloor-oriented nature of the release. The opening title track goes straight to business with a lovely tangle of short loops and no-nonsense approach to dance music. Fan favorite ‘Wake Up’ follows this trend with a slower, nuanced beat, finishing with a frenzy of voice-cutting effects bound to drive dancers crazy. Bangers ‘Magic’ and ‘Rainy Night’ are also sure bets to keep the night alive, featuring tremendously catchy hooks mixed with high-octane percussions to keep listeners tuned in. However, Timeless shines at its brightest when the luxurious beats manage to combine with a bit of melancholy. ‘Lost’, for example, retains some of the vibes of previous tracks but features a tense synth section, giving the cut a thoroughly enjoyable ethereal feeling, accented by the subtle voices in the background. Fan favorite ‘Video Girl Yukiko’ centers around a series of memorable synth stabs and a sweet Asian female voice. As expected with a Neoncity release, the disco-era homage comes in the form of ‘Sunshine City’, an instant success made possible by the delightful selection of string section samples. Timeless sounds (and feels) as a towering achievement because of its execution. Some of the 12 tracks may be overshadowed by the rest of the material but they all manage to come together cohesively into a remarkably exhilarating experience. The album contains enough ups and downs, moments of happiness and melancholy to endure in the minds of the listener long after the last beat fills the room. You can’t ask for a lot more than that. Favorite tracks: Sunshine City, Video Girl Yukiko, Magic, Rainy Night, Lost.